Bestway, one of many manufacturers of pool filters, specializes in cartridge filter systems that are designed to be used in inflatable pools. 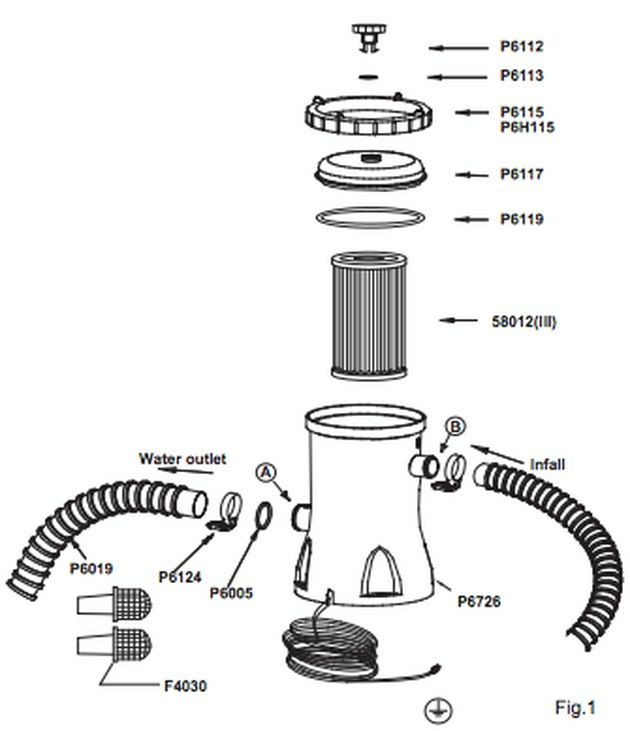 In these systems, a cylindrical cartridge filter is installed into the filter housing and is capable of trapping dirt as small as 25 microns. The filter is powered by a pump that delivers water into the filter system, forces it through the cartridge filter, then returns the water to the pool through the return jet. 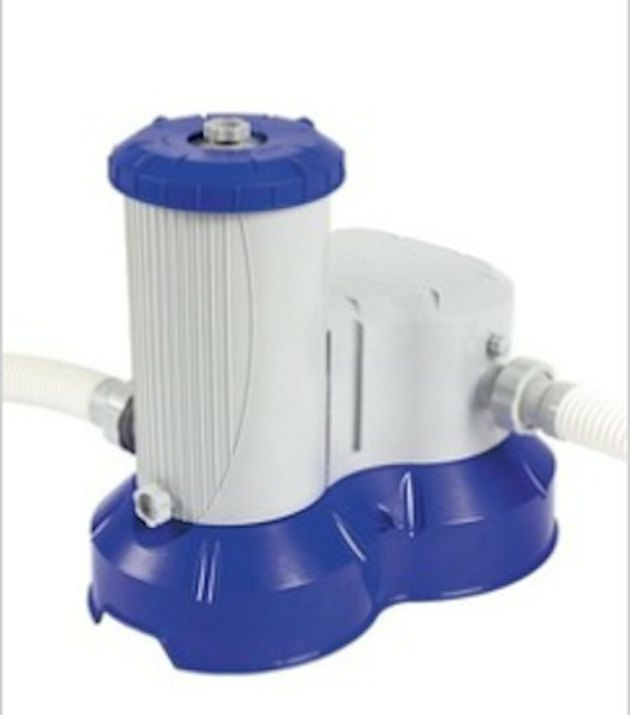 Bestway corporation makes filter pumps suitable for inflatable above-ground pools. Problems you might encounter with a Bestway pool pump-and-filter system are similar to the types of problems that occur with any pool pump. Usually, the problems are caused by improper maintenance—if you do nothing more than establish and maintain a proper maintenance procedure, problems are corrected and prevented. Compared to sand filters and many pumps designed for in-ground pools, Bestway filters for above-ground swimming pools are quite simple, and it's almost always easy to troubleshoot and fix problems. Two problems can lead to your Bestway pump running louder than it usually does. First, air may be trapped in the hoses. This pump is designed to process a steady stream of water, and if air gets trapped in the hoses, it may cause internal parts to vibrate and make more noise than usual. Inspect the hoses to see if they are clogged with debris or if the hoses are cracked, which could be introducing air into the system. Replace the hoses if they are damaged. Another cause of a loud pump is a cartridge filter that has become clogged. In most cases, this is a simple matter of cleaning the filter to remove the debris that is clogging the filter and causing the motor to work harder in its effort to pump water. Remember that there is a limited life to any pool filter. Bestway recommends that owners replace the cartridge filter every two weeks, although many people find that more life is possible if the filter is cleaned regularly. Finally, if the water level is too low, it may have fallen below the level of the intake or outtake hose ports. This allows air into the system and causes the pump to run louder. Make sure the water level is well above the hose ports on the side of the pool. When the pump fails to circulate water, this too is often caused by a very dirty cartridge filter. Cleaning or replacing it often corrects the problem. Clean the cartridge if the filter's pressure gauge reads 8 to 10 pounds per square inch (PSI) above its normal reading (assuming your model has this gauge). For filters with no pressure gauge, Bestway suggests cleaning once per day. To remove the filter, turn off the pump then turn the air-pressure release valve counterclockwise to release the pressure. Open the filter cartridge and remove the filter. Clean the cartridge with a garden hose and reinsert it into its housing. Replace the filter cover and tighten the air release valve. Restart the filter. Clogged hoses can also prevent the pump from circulating water as intended. If your cartridge filter looks okay, the next candidate is one or more hoses that are plugged with debris. Inspect them and clean out any debris you find. Air in the system can also prevent the pump from circulating water. Check the hose fittings and seals to make sure that they are not leaking air. These should be replaced if they are faulty. A water level that has fallen too low will also introduce air into the system and interfere with water flow. In virtually every instance, leaking water at the pump is caused by bad seals or by loose-fitting connections—or both. There are three important seals around the pump itself—one that seals around the filler cap where the cartridge is inserted, and one each for the water inlet hose and outlet hose. Make sure these seals are in good shape and that the connections are tight. A dirty filter can also cause excessive force on the inlet hose, which may cause the inlet fitting to leak. 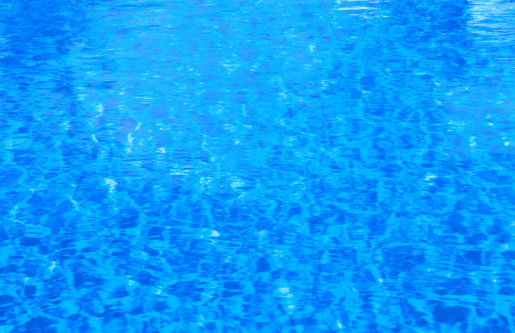 Once more, the most common cause of water in the pool remaining dirty is a cartridge filter that is so clogged it can no longer remove debris. If the problem isn't debris so much as cloudiness, it is probably not so much a filter or pump issue as it is a pool chemistry issue. Check the chlorine level and adjust the water chemistry if needed.